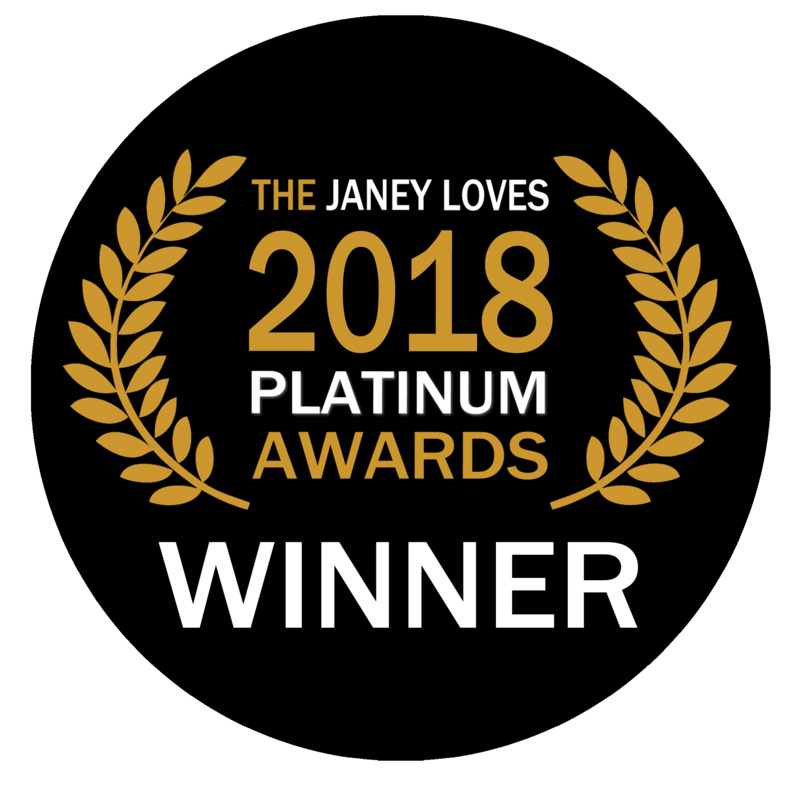 INTERNET SHOPPING MADE EASY: The Yogaunited online shop is a secure place to buy all your yoga kit under one virtual roof. 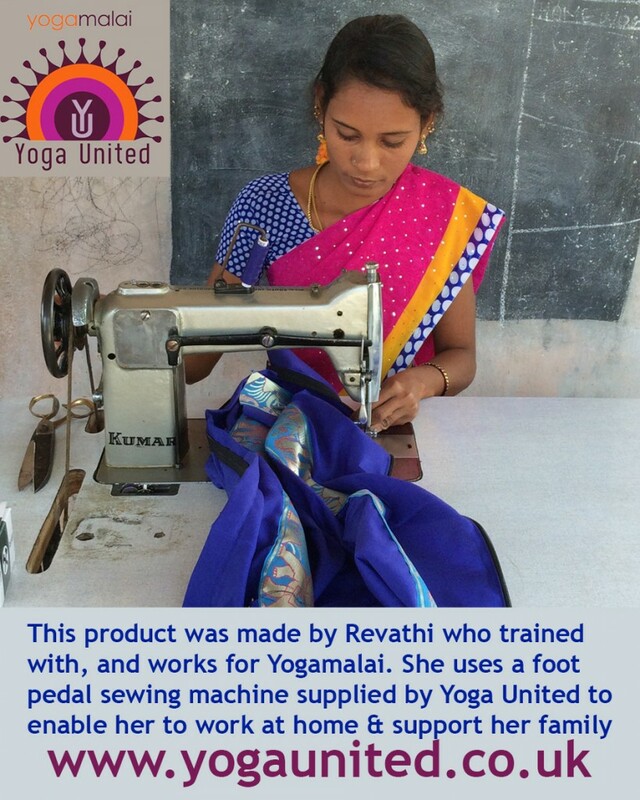 When you buy a yogamalai product, you are directly supporting the dedicated team of people who hand-craft our products in India – we work in the spirit of yoga based on the principles of yama; we are committed to ethical manufacturing, good relationships with our staff who may otherwise not be able to work, empowerment of women by providing living wages. Our designs combine the vibrant colours of India with the decorative details of luxury to create the most stylish yoga kit available worldwide. And if you can’t find what you’re looking for, we can probably have it hand-made for you…. This is the life-affirming story of how a business grew from one yoga mat bag made by a woman in a south Indian fishing village. Judy Hirsh spent many winters in India practicing yoga and carrying around her mat. She became friends with Lakshmi who offered to make a bag for her mat: the perfect bag to hang up her mat; stay hands-free when carrying it; and of course, protect the mat from gathering dust during those periods of not practicing so much! Back in the UK, Judy’s students kept commenting on the yoga mat bag so Lakshmi made some more, and before you could say ‘enlightenment’, they had a wholesale order for 100 yogamalai mat bags in the UK and had to find some more ladies with sewing machines. Judy’s husband Saravanan found contacts in Chennai who turned out to be invaluable and they set up Yogamalai with a brief to create beautiful yoga mat bags using fair trade principles and ethical values to support and empower women and their families in their Indian community. 10 years later, they are still making the yogamalai elephant mat bag but have extended the range to kit bags, teachers bags, bolsters, cushions, belts and eyepillows. 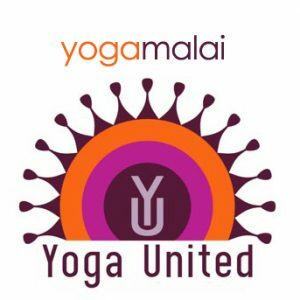 As the range has grown, yogaunited also now stock other products from around the world so customers can find mats, bags and all the props, even gift ideas under one virtual online roof. Judy and Saravanan go to India every winter to visit yogamalai, talk to the families whose lives have been changed by yogamalai, discuss ideas of how to go forward, choose fabrics and design new products. Inner Guidance uses Yoga United products wherever possible, because of their ethical values.